Woody's custom wood bicycle fenders fully shaped compound curve with stainless steel harware. Complete set front and rear with hardware. 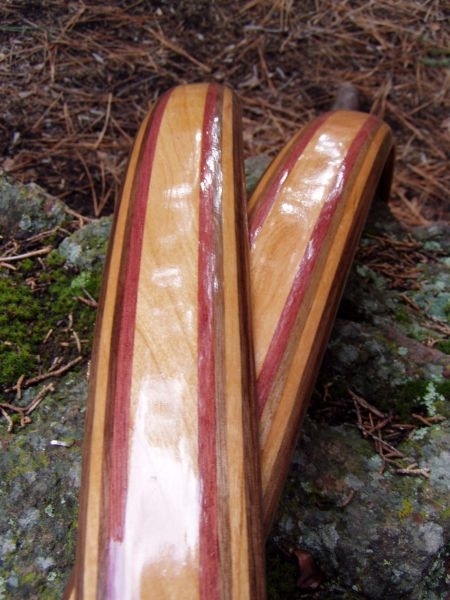 This set is built from Cherry with two bands of Purple heart wood, and Walnut side stripes. The Cherry will darken over time to a nice rich golden brown color. In other words these only get better with age! Comes with stainless steel and brass mount hardware.